The All-In-One Solution! Maximum storage at a minium price!! 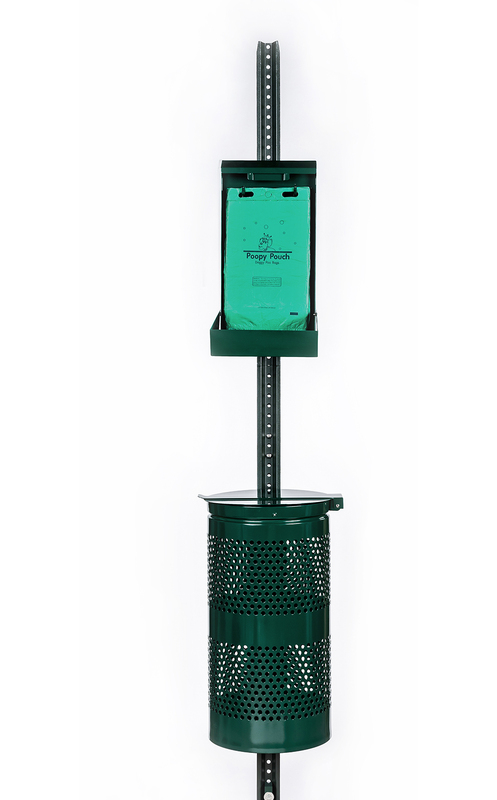 Locking header dispenser made from durable, rustproof powder coated steel construction that lasts for years! 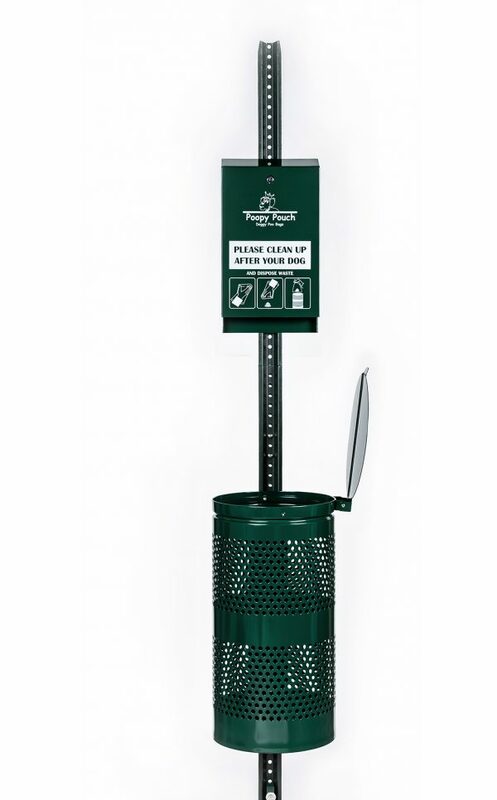 Holds up to 600 of our single pull bags that are flat packed and dispenses one-bag-at-a time for longer refill intervals! 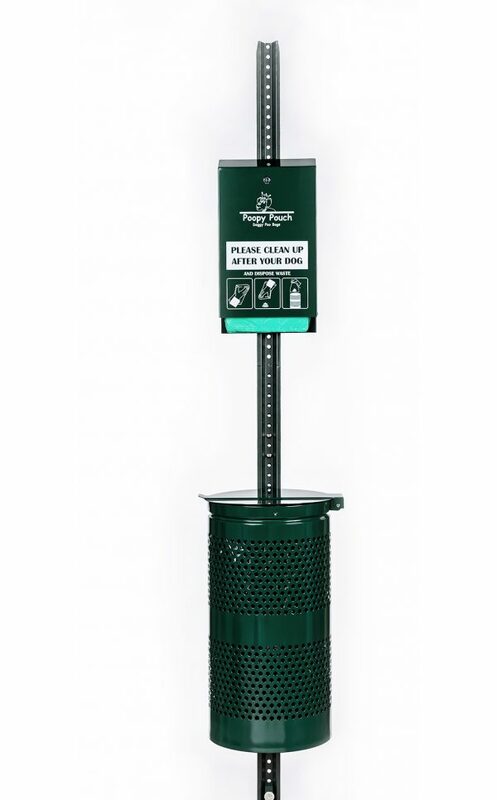 Integrated sign “Please Clean Up After Your Dog” is screen-printed directly on the dispenser. 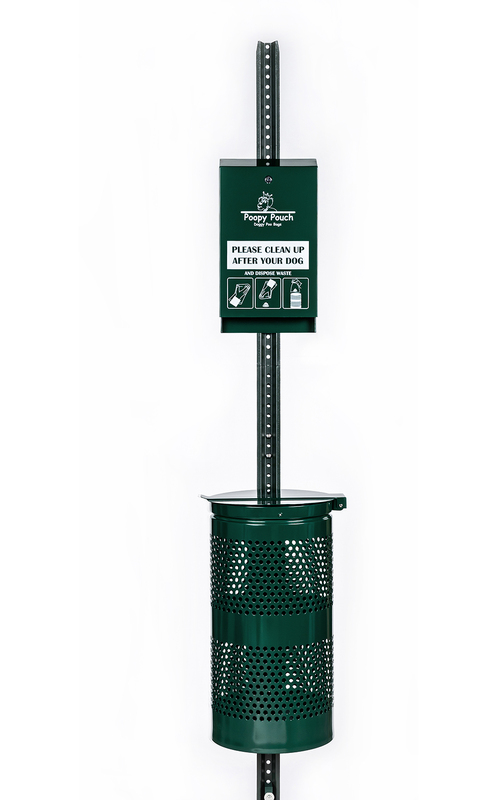 Kit includes an 8 ft. channel post (in two 4 ft. sections) and 10 gallon waste receptacle with or without lid. Mounting hardware and instructions included. 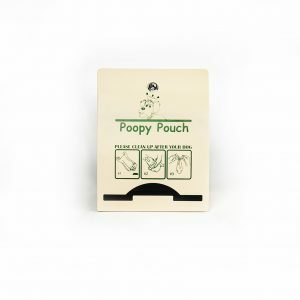 Use with replacement bags part #PP-H-200-20M. The All-In-One Solution! 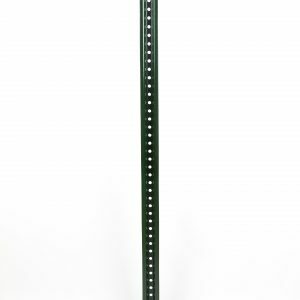 Maximum storage at a minimum price!! 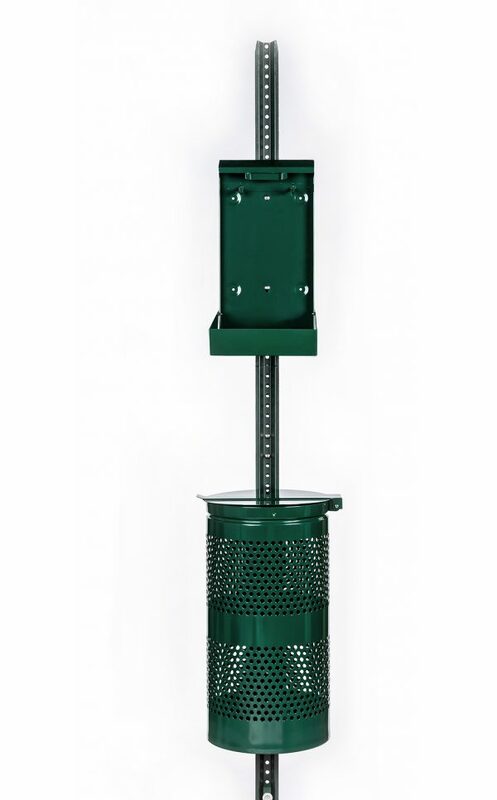 Locking header dispenser made from durable, rustproof powder coated steel construction that lasts for years! 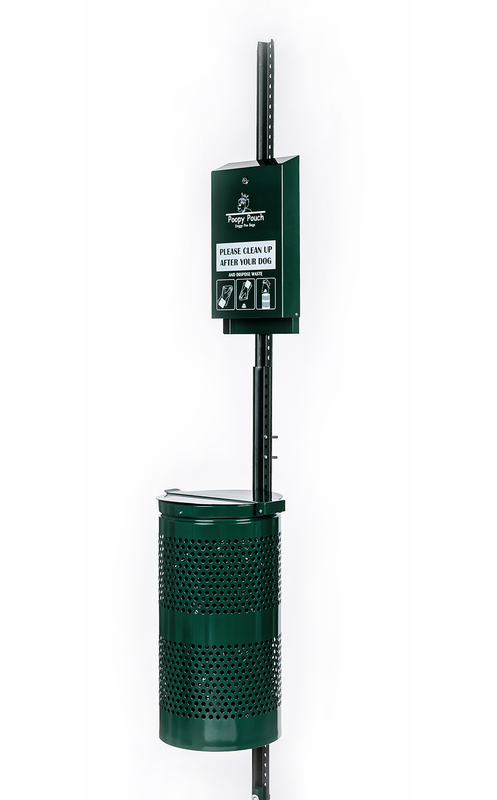 Holds up to 600 of our single pull bags that are flat packed and dispenses one-bag-at-a time for longer refill intervals! 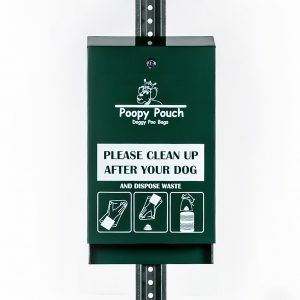 Integrated sign “Please Clean Up After Your Dog” is screen-printed directly on the dispenser. Kit includes an 8 ft. channel post (in two 4 ft. sections) and a 10 gallon waste receptacle with lid. Mounting hardware and instructions included. 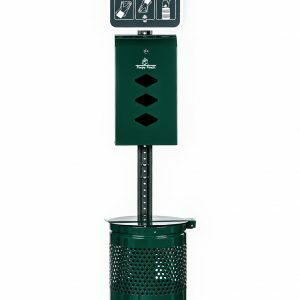 Use with replacement bags #PP-H-200 and our popular 13 gallon trash liners.